In the sea of budget tube amplifier makers, I think that, perhaps, Audio Note UK may go unnoticed. 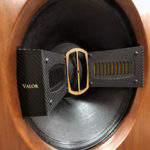 With stupefying price points in the Audio Note range of amplifiers heading up and over the $50,000 mark, it is perhaps forgotten that Audio Note also makes affordable products and quite excellent, affordable amplifiers; amplifiers like the OTO, for example. I like this amp because it is affordable even on a student’s budget, well, if you’re willing to go through your university years without a car, which is what I did. Ah the sacrifices we make for “good sound”, which is apparently what the word OTO means translated from Japanese. 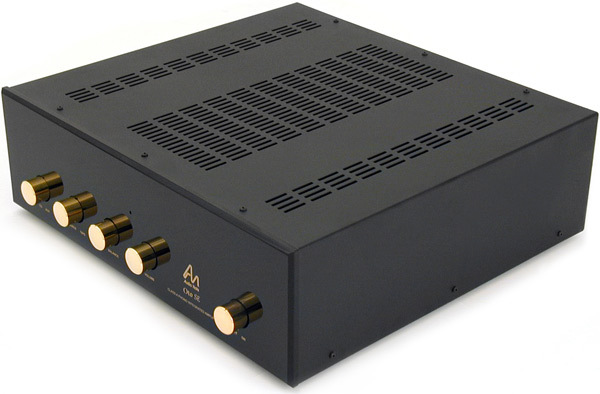 The Audio Note OTO Phono SE is Audio Note’s entry level single-ended amplifier running in single-ended pentode mode. While Audio Note is famous for those ultra expensive Ongaku’s, it may be the OTO that most consumers will be introduced to first. The OTO is, if not already, a modern day classic amplifier. To be viewed a classic in virtually any arena, a pre-requisite is for it to be able to stand the test of time. Can your product still hold up against newcomers with new designs and ideas? The OTO SE has been selling for 16 years since 1992, and it continues to beguile, amaze, and sneak into the hearts of owners for its sheer beauty at replaying recorded material. “It started out as a separate pre- and power amplifier in one box, this changed partly to optimise sound and simplify the circuit for cost reasons in 1996/1997. The internals of the OTO became the M1line/M1Phono and P1/P1SE depending on whether PP [Push Pull] or SE [Single Ended]. Indeed, in a real sense the OTO is a different animal than a lot of integrateds that are designed as a cost-cutting measure at the design stage. 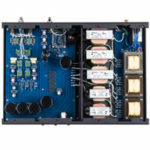 This amplifier is in fact, dedicated preamp and power amp separates sharing one bigger box. Indeed, if you look at the innards of the M1 and P1, you can see very similar layouts. “As with all our electronics great attention is paid to the inter stage behaviour and bandwidth time constants, in amplifiers with feedback, which all pentode amplifiers must have, aligning the time constants in the closed loop with the circuit’s natural response constants in the output transformer, this is not easy to do but yields great results if done properly. When I first heard SE tube amplifiers I had several misconceptions about what I would hear. I had read many magazines and internet forums and I had a pretty good idea that valves had lots of noise, distortion and lacked drive, resulting in, I was told, no real credible bass and poor treble extension. They were also a pain to operate and it could be expensive to replace the tubes. For the beginner, the OTO is about as easy as you could hope for in operation. First of all, there is no biasing to worry about and thus no need for volt meters. It’s as plug-and-play as it gets for tube amplifiers. With five gold knobs on the front for INPUT SELECTION (Phono, CD, Aux, Tuner), TAPE SELECTOR, BALANCE, VOLUME, and POWER, it’s as straight forward as it gets. The OTO Phono SE has 9 tubes, all of which can presently be purchased for as little as $6 – $10 each from various online retailers. Audio Note expects tubes to last for around 8,000 hours. This is an important aspect to consider for long term ownership because many other tube amps use tubes that don’t last nearly this long and are very costly to replace. With the SET myths continually being espoused on forums, it is first-hand experience that is needed to get a true sense of what is going on. Firing up the OTO with its paltry 10 watts of EL 84 power, a tube considered in tube lore to be a weakling power tube, I was shocked by how truly powerful this amp can sound: full range, crystal clear to a high levels, and absolutely no noises, hums, or hisses. Basically, the experience had me doubting everything I had read for years on audio forums and in magazines. I didn’t get it. This completely mundane-looking amplifier mated to a rectangle box with two drivers perplexed me, at first. Obviously my experience is not surprising to those readers who have been using flea-powered SETs for years. And in some ways the OTO might be considered a true powerhouse at ten watts compared to a great many SET amps of the sub-three-watt variety. Obviously, anyone considering an amplifier in the ten-watt range has done their homework on selecting loudspeakers that will have gentle impedances and relative high efficiency. 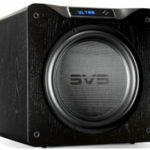 At ten watts, the OTO is certainly not for everyone because it simply can’t drive a lot of the speakers on the market to acceptable volume levels. Fortunately, more and more efficient speakers are coming out which will afford owners the opportunity to get into amplifiers like the OTO, allowing them to buy amplifiers based on sound quality rather than power requirements. To OTO or not to OTO? I digress. The OTO with the J or E from the Rock oomph of AC/DC and Aerosmith to Sarah Mclachlan, Hayley Westenra, or Loreena McKennitt’s glorious sensual vocals to Beethoven’s full on 9th, the OTO is able to provide a powerful level of drive when needed, while also delicately delineating the subtleties of acoustic instruments and vocals. The OTO is a nimbly tuneful amp ready to take what you throw at it in stride without a hint of gassing out. Strings and acoustic instruments have a rich decay, gentle, and insightful. Put on some electronic music and the amp is capable of digging down deep and grabbing you by the scruff of your neck. You wonder about bass and treble because such amps have always been said not to be able to cope with frequency extremes. Well, there is absolutely nothing to fear here and it’s truly a disservice that this myth gets propagated. I have owned and auditioned several respected solid-state amps that sounded leaner and lighter weight in the bass and offered none of the three-dimensional organic qualities offered up here. The proviso is to simply match speakers that won’t push the amp beyond its capabilities. Indeed, I am hard pressed to think of a solid-state amplifier for the price, or maybe any price, that I would take over the OTO for pure music reproduction. Bold words, yes, and there is a caveat. 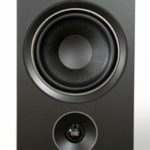 Since one needs a good, careful speaker match for the OTO, if you make a speaker change to your system the OTO might have to be changed out was well. If you own a 300-watt beast then it will drive any future speaker change. Still, if you believe in the merits of careful system matching and you have a preference for high-efficient easy-to-drive speakers, then the OTO can bring pure magical delight to such systems. Audio Note ultimately designs systems and not isolated products. So matching the OTO to a 1 ohm 82dB speaker is not going to yield even remotely good results. My comments are attributed to the amplifier matched up with Audio Note speakers or, higher efficiency speakers. Audio Note has some stupefying prices on some of their upscale equipment, so it’s nice to see that they don’t forget the audiophile on a budget. The OTO is by no means an inexpensive amplifier for most of us, but it is in the reach of most audiophiles looking to get a real taste of the organic musicality that the single-ended experience offers. A glorious combination of leading edge attack and full-bodied decay with astonishing bass depth and a grain-free open treble reproduction is what you get in the Audio Note world and the OTO doesn’t leave you out in the cold. The OTO has a beauty of tone, timbre, and a full-bodied enveloping sound that makes it difficult to resist on any music program. The word “right” comes up in reviews again and again describing Audio Note products, and the OTO is no different. Of course, you will get better sound moving up the ladder or “levels” in the Audio Note line but that is how it should be. The question is can this be your last amplifier if you just want to be wrapped up in the music – with the right speakers; the answer is yes. With the wrong speakers, well, what are you doing with the wrong speakers? Chameleon-like is the order of the day here. The price of entry into the Audio Note single-ended world, and for the rewards you will get from this amp, it is nothing short of a steal. Audio Note is a company dedicated to music reproduction and while the OTO may not look like much against some of the ritzy glitzy competition, the music reproduction here should not be overlooked. This is a first-rate, well-built, classy-sounding amplifier. Talk about how affordable it is, and don’t name a price. Talk about the price of the tubes, but not the price for the component under review. And we are working to back fill specs. Dagogo switched over to a new CMS (content management system) and some of the specs for old reviews had issues in the database import. Sorry for the trouble. Since I consider the OTO for my Ensemble Reference Silver speakers ( 89 db ), and fear that the amp low wattage, might not suit those speakers, I am looking for some advice.